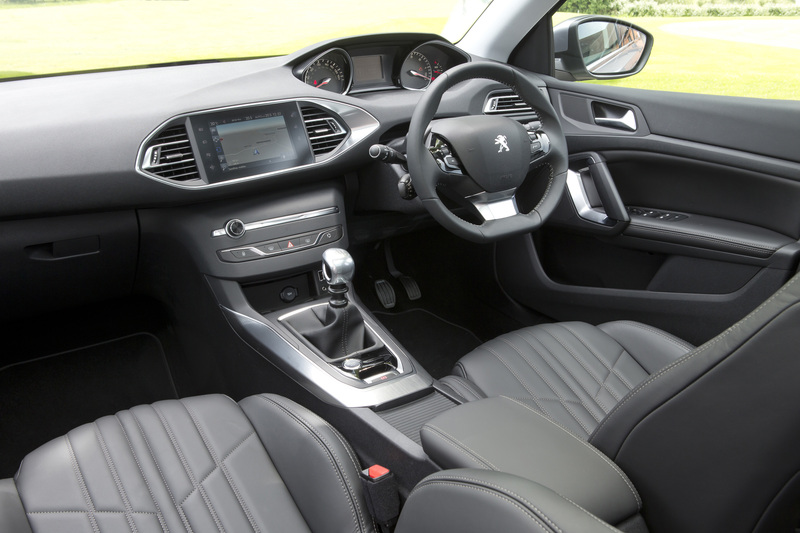 108, 2014, 308SW, Birmingham, city, estate, First Drive, launch, new, Peugeot, photos, pictures, Review, sam sheehan, TOP! Things are looking up for Birmingham these days. Years of decline have finally halted and the UK’s second city is finally growing again. High rise buildings have popped up all over the skyline and the abandoned mills from a prosperous industrial past have been converted into swanky bars and restaurants. Brum, it seems, is transforming its image. 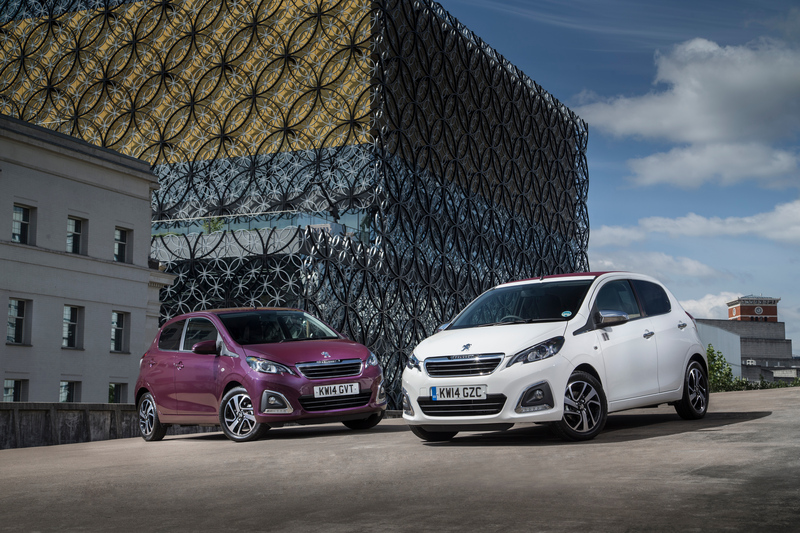 Fitting then, that Peugeot has chosen Birmingham as the location to launch two cars charged with strengthening its image as a classier brand. 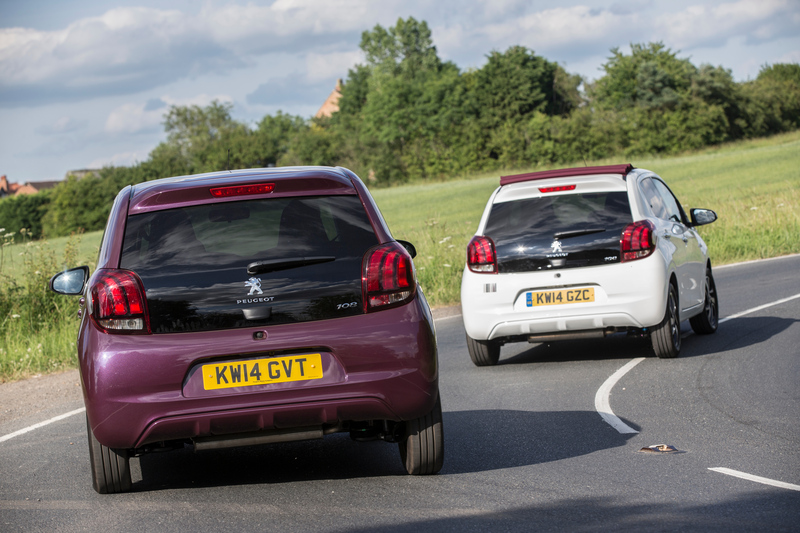 The new cars, the little 108 and larger 308SW, were lined up for us journos inside one of Peugeot’s recently refurbished Robins & Day dealerships in the city. Unlike Birmingham, Peugeot hasn’t exactly come from hard times. 46 per cent of its sales are now outside of Europe, much of that coming from the fast growing Chinese market. The 108’s predecessor, the 107, saw sales grow throughout its life to close with a substantial 130,000 units built for the UK alone. And the 308 – the hatchback on which the larger 308SW is based – was recently awarded European Car of the Year. It may seem strange then to hear that instead of sticking within the realms that have brought this success, Peugeot has ambitious plans to push its image further upmarket. Whilst the modern lighting and pale colours of the dealership certainly gave off a sense of class, how can the 108, a car that enters the market at a very affordable £6,274.17 in basic Access trim, be part of an upmarket brand? Looking across the curving nose, the first thing that grabbed my attention was the chrome. Chrome trim encircles the grille, curves around the fog surrounds and even finds itself within the light clusters themselves. The use of chrome to create a less ‘bland’ exterior and classier aura may seem like the workings of a youth with a Halfords addiction, but thankfully in the 108’s case, it seems to work. The wheels, which on the top-of-the-range Allure are 15inch Thorren alloys, look smart and dare I say it, expensive. And with a contrasting colour scheme which can be customised to suit each customer, the 108’s exterior is actually quite pleasing to the eye – especially one aged between 18 and 25! 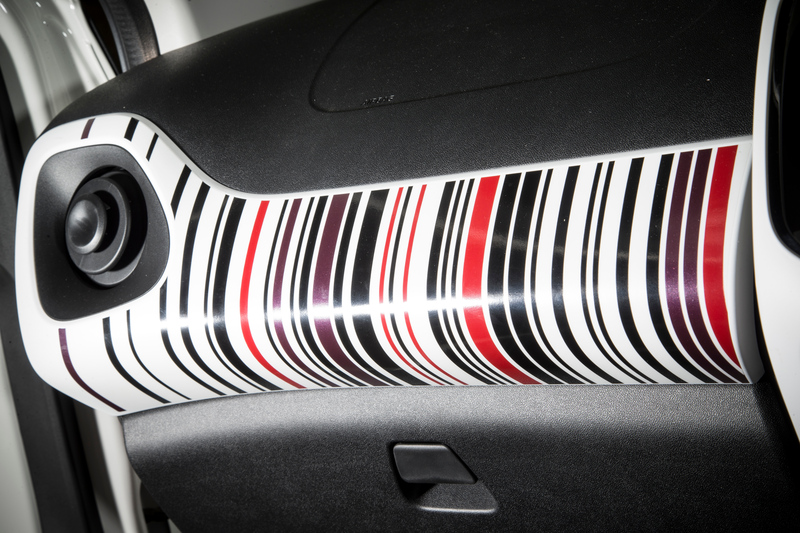 In order to please that target market, which Peugeot claims mostly comprises of young couples, sticker kits and three interior designs are offered. Customisation is key according to the French carmaker, in order to offer the smartphone generation the level of individuality they crave. 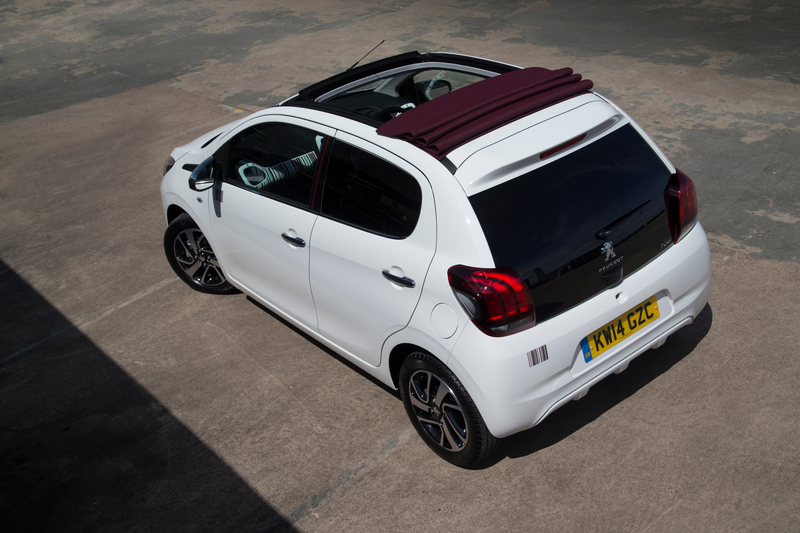 For the first time in an A-segment Peugeot, an electric folding fabric roof is available with the TOP! model, and a raft of luxuries not normally found in this sector are fitted to the car. A speed limiter, digital rev counter and keyless entry are also available, emphasising Peugeot’s plans to align its cars closer to more premium brands. But whilst all the ingredients are there to suggest the plans are working, do they add up to a more premium feeling drive? On first impressions, yes. The five-door 108 TOP! Active (one down from the top-spec Allure) I drove out of Birmingham certainly looked the part both inside and out, with a small but thick steering wheel and nicely adjustable seats offering significantly better seating positions than the typically upright positions of A-segment cars. The dash was pleasantly funky too, matching the exterior’s colour scheme and proudly displaying the 7-inch touch screen display that can directly connect to your smartphone. It all does seem to represent a vast improvement on the 107. The Achilles heel, though, is what’s under the bonnet. My car’s 68bhp 1-litre three-pot struggled to meet the demands of fast-paced rush hour traffic, and instead of possessing the vocal talents of half a six-cylinder engine, it was loud and intrusive. No doubt the more expensive 1.2 VTi engine offered on higher specification cars would improve the situation substantially, but the smaller unit only really began to shine when the urgent traffic of central Birmingham faded to a steadier suburban cruise. Having said that, it was near impossible to average less than 50mpg on my drive, and the little three-pot coughs out a tiny 88g/km of CO2 when fitted with start/stop technology, meaning it comfortably falls below the UK minimum for tax exemption. And since its talents don’t lie in straight line performance, insurance will be happily cheap for young drivers too. So really, it ticks all the right boxes for the 108’s target market. But what about the 308SW? A significantly larger car, the estate or ‘station wagon’ version of the 308 hatch is probably the car that better represents Peugeot’s ambitions to move upmarket. Since a well-specified, top-end Feline model with the range topping 2-litre BlueHDi engine costs as little as £20,000, the 308SW again holds a far-from-premium price tag. But sliding into the well supported seats, it certainly felt premium inside. The dash is one of the best I’ve seen in a car of this price, shunning the usual clutter of buttons for a simple, easy-to-use touchscreen infotainment system. The steering wheel, which looks oddly small at first, is actually one of the best features of the car. 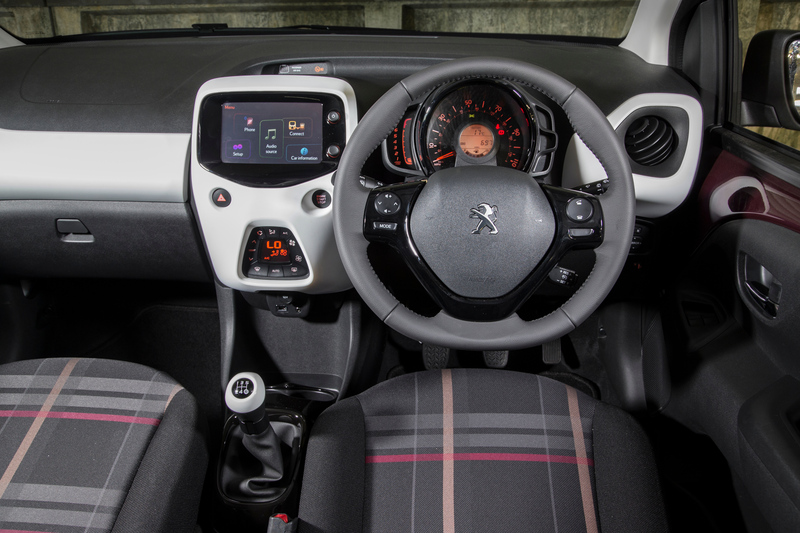 Like in the Peugeot 208 GTi, the small diameter wheel just feels right, and you begin to wonder why cars with such light power steering require the large steering wheels they often have. The 150bhp 2-litre diesel engine is effortlessly fast too, requiring little more than 2,000rpm to surge the lengthy estate along. 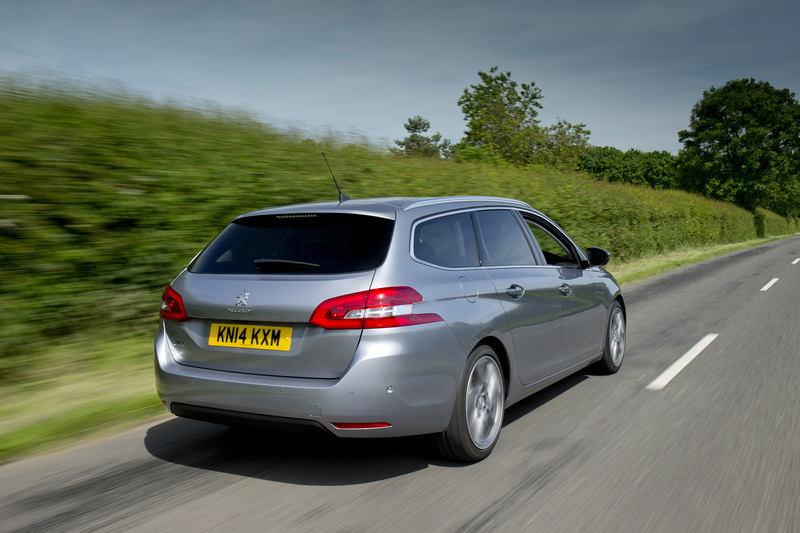 It really does seem as if the 308SW is a good representation of Peugeot’s efforts to shift upmarket. And scanning my eyes across the exterior as I catch a glimpse of a shop window reflection, I think the French car maker has done a good job on the outside too, retaining the smart appearance of the 308 hatch in the longer wheelbase estate. So has Peugeot succeeded in moving its image towards that of a more premium brand? Based on these two cars, it certainly looks promising. Whilst the 108 is a little unrefined in some areas, it’s very good indeed for a sub £10k car. And its main selling points – that curvy exterior and overall customisability – are sure to attract young buyers. The 308 on the other hand has very little to hide, offering exactly what it says on the tin. A large 660-litre boot is accompanied by comfortable seats and a punchy engine range, meaning the 308SW estate is a sophisticated-looking alternative to the class leading Ford Focus and Volkswagen Golf estates. That night, as I tucked into my sea bass in a posh rooftop restaurant in Birmingham, it dawned on me that the keys to a Peugeot didn’t look at all out of place. Not with all that chrome, anyway.